2019 Youth of the Year – selected from among 13 youth at the annual Gala in Seattle, junior from Port Angeles High School, Addison Holland has been named the 2019 Washington State Youth of the Year. Additionally, Steilacoom High School junior Christian Ashford has been selected as the 2019 Washington State Military Youth of the Year. As the new teen representatives for traditional and military Boys & Girls Clubs in Washington, Addison and Christian each received $5,000 in college scholarships to continue their paths towards success. The Gala, attended by local Youth of the Year candidates from across the state, is the culmination of months of hard work, community service, and speech and essay preparation by Washington youth. The 2019 announcement was made by Columbia Bank’s Executive Vice President and Chief Marketing Officer, David Devine. 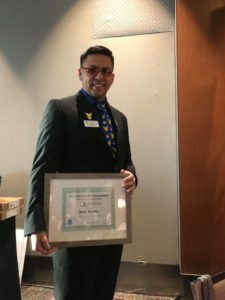 Columbia Bank served as the presenting sponsor of the 2019 Washington State Youth of the Year program with David Devine also serving on the selection panel earlier that day. The selection panel also included a variety of local and state business and civic leaders including representatives from Boeing, Community Health Plan of Washington, the Seattle Seahawks, QFC, Disney, T-Mobile, and Washington State’s Department of Children, Youth, and Families. 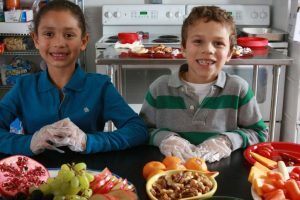 Both Youth of the Year statewide title holders will represent Washington State at the Boys & Girls Clubs of America’s Pacific Region Youth of the Year competition. Addison will participate in the regional program in Los Angeles in May and Christian will participate in the regional military program in San Diego in July. Winners of the regional competition will then vie for the title of National Youth of the Year. Winners in the Youth of the Year program are first chosen at the local Club level, followed by state, regional and national levels. This year’s Gala was made possible by these sponsors! Addison has been a member of the Port Angeles Club for 12 years and is currently a junior at Port Angeles High School. She is passionate about serving others and regularly volunteers in her community and at her Club. She has also lettered in community service at her high School. After graduation, Addison plans to attend Western Washington University to study social sciences. Katherine is a member of the Hillside Teen Center at Joint Base Lewis-McChord and is currently a junior at Steilacoom High School. He is the Vice President of his Keystone Club and a Junior Staff member for the Passport to Manhood program where he mentors middle school students. Christian is an active member of his church and his school where is the President of the Cultural Diversity Club. He hopes to soon attend Virginia Tech to study engineering and serve as an officer in the U.S. Air Force. In addition to naming our 2019 Youth of the Year, two incredible teens received scholarship awards in recognition of their commitment to Good Character & Citizenship and their commitment to serving their communities. 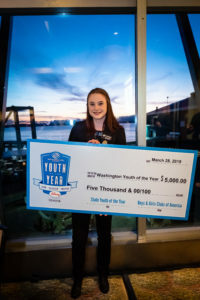 The Washington State Youth of the Year (YOY) is designed to promote and recognize service to Club and community, academic performance, and contributions to family. Youth from across Washington are selected to represent their local organization and join their counterparts from across the state in sharing their life changing stories at a Gala Dinner event attended by 250 board, staff, and community leaders. 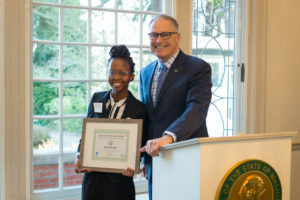 The YOY program is multi-day, and includes trainings for participants, interviewing and judging competition, a breakfast reception held at the Governor’s mansion in Olympia, and fun for the teens. The young people who earn recognition as Youth of the Year are living proof that Boys & Girls Clubs are effective. 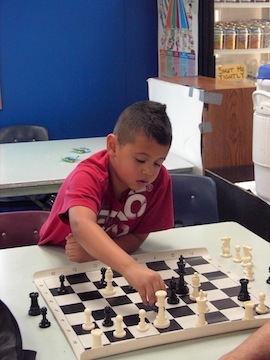 Indeed, there is no stronger testimony that Clubs are truly the positive place for kids. 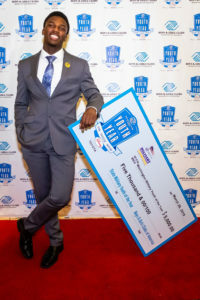 Once selected as Youth of the Year, the winner begins a one- year term as the teen spokesperson for all Boys & Girls Club members by taking part in community events and activities. All youth of the year participants receive college scholarships ranging from $500 to $5,000. The Washington State Youth of the Year winner will also be entered in the regional competition where they will be given the chance to vie for a spot in the national competition held in Washington DC. The youth given the title of National Youth of the Year receives an additional $15,000 scholarship and is installed by the President of the United States. 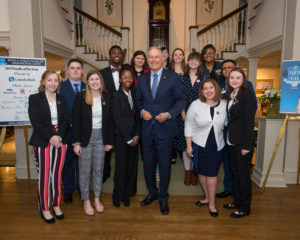 2019 Washington State Youth of the Year finalists with Governor Inslee during the breakfast reception at the Governor’s Mansion in Olympia, WA.